The CoolSculpting procedure won again! 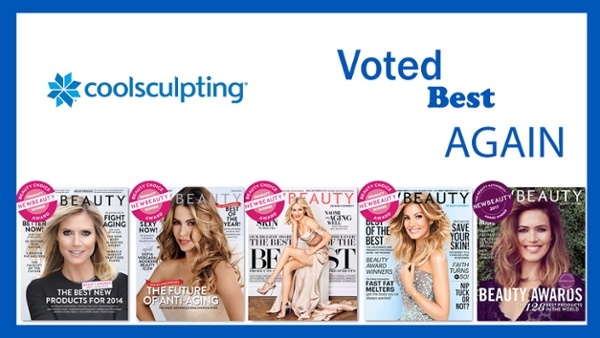 For five years straight New Beauty magazine has selected CoolSculpting the best non-invasive treatment to get rid of unwanted fat. BodEnvy CoolSculpting Orlando took notice and has chosen it as the foundation for our body sculpting services. It’s not easy being voted #1 for fat reduction for five years consecutively. Residents that want to freeze fat off in Orlando should call us today. We can help with body contouring techniques that get rid of stubborn fat without requiring weight loss. Best of all it doesn’t require cosmetic surgery to reduce your areas of fat. The BodEnvy CoolSculpting Orlando cost varies based on your body sculpting needs. The cost of the CoolSculpting cosmetic procedure will vary based on the areas treated. One of the wonderful things about this cosmetic procedure is that it kills the fat cells in your problem areas. What people don’t realize is that when you lose weight on a healthy diet your fat cells shrink, but do not die. The CoolSculpting procedure kills a percentage of fat cells in a treated area. The first step is to determine if your a good candidate for body sculpting in Orlando fl. Call us today for a free no-obligation consultation. During the consultation we will review your health history and provide a quick exam to determine if you are a good candidate. Good candidates for CoolSculpting are typically within 30 lbs of their ideal body weight. Once we determine if it’s right for you we will provide the CoolSculpting Orlando cost. You will see that the price for our entire CoolSonic Plus regimen is roughly the average cost most providers charge for just CoolSculpting. Click on our “get a price” button and we will email your price for CoolSculpting and details on our 100% satisfaction guarantee. Call us today to schedule you free body sculpting Orlando Florida consultation.